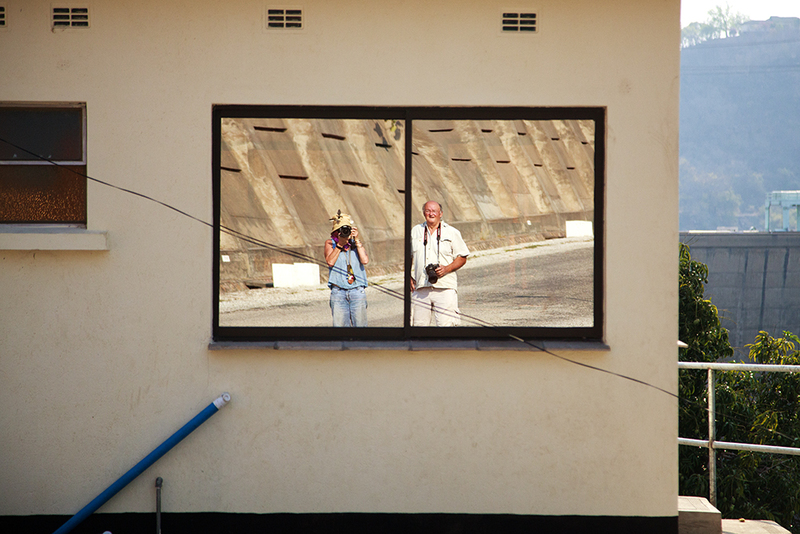 It was time to wave Mana Pools goodbye. 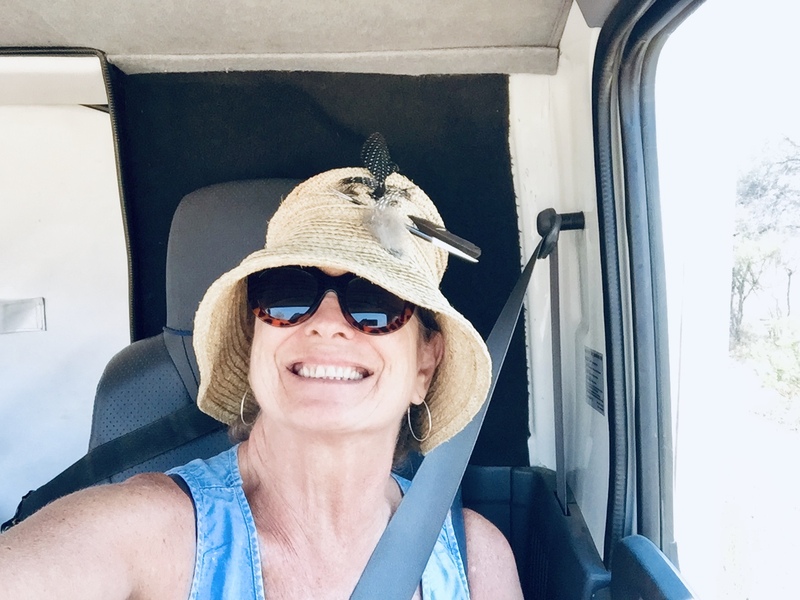 A month was just long enough and I was excited to resume our road trip and next destination. 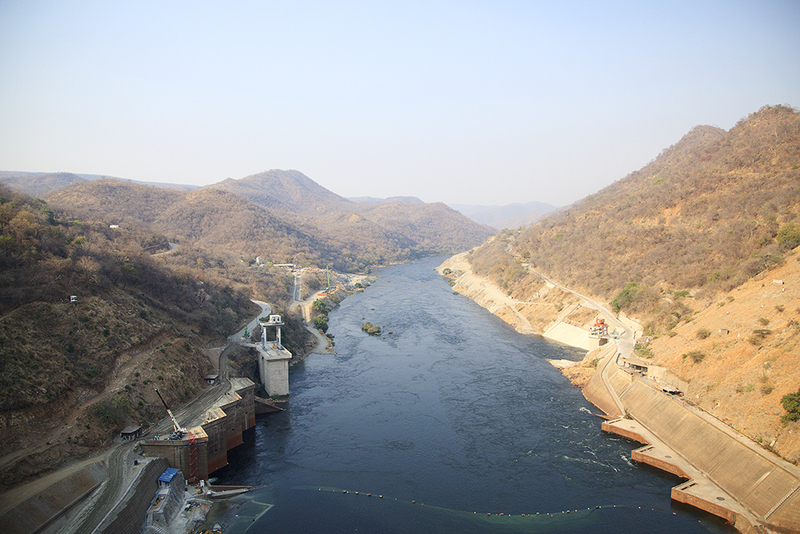 Kariba. 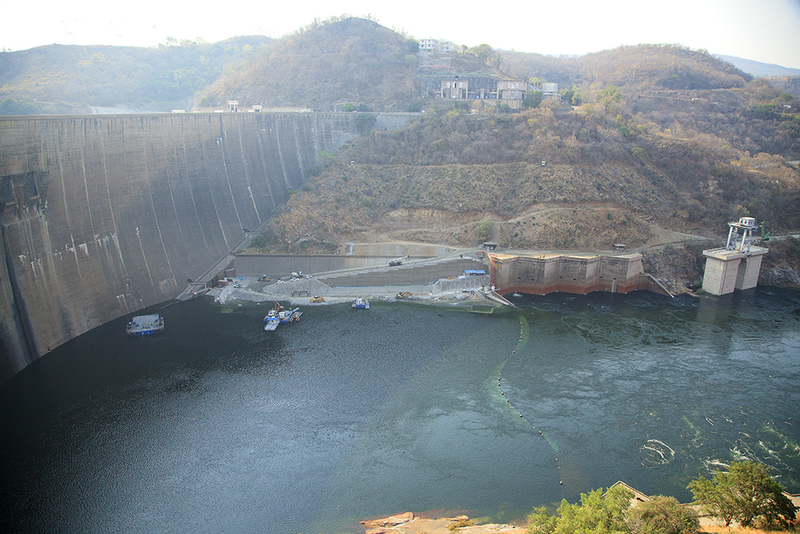 All the stories I’ve heard about Kariba have conjured a picture of holidays, fun and houseboats. Romantic. We, of course, would not be staying in a houseboat. 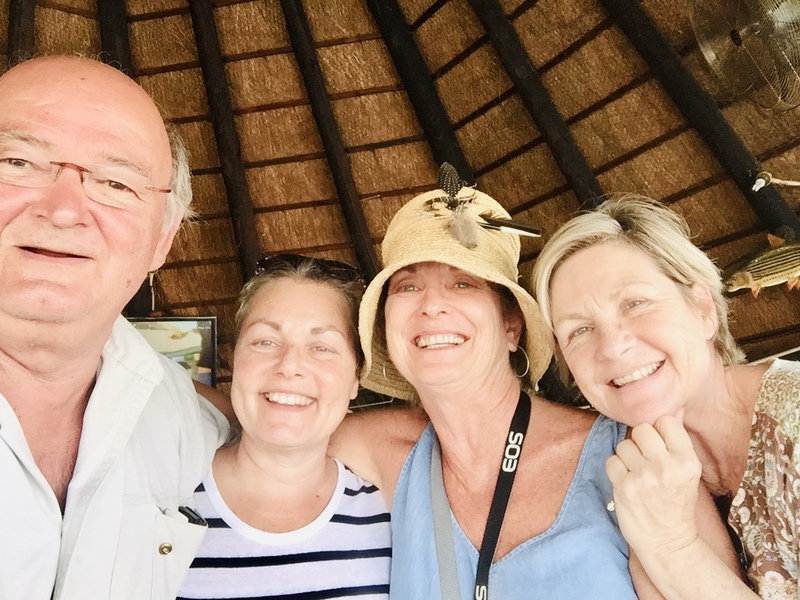 We would’ve liked to but, our holiday had ended in Mana Pools so we were returning to South Africa via Kariba. A special detour so that I could see the dam and the WALL! Something I’d read about in a blog by theroadchoseme.com by Dan. He was really impressed and said a detour is highly recommended. The bumpy three hour trip from Mana to the main road had my jaws jittering and my stomach muscles aching. I’d also, according to my Garmin watch, completed my steps for the day and I created a new record. 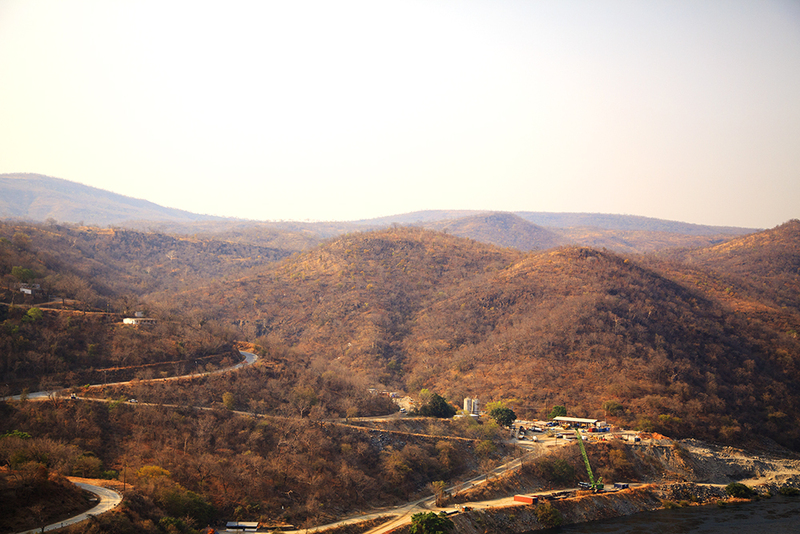 The trip to Kariba is easy, through valleys and escarpments, windy roads along the hills on really nice tarred roads. Unfortunately we were there during the dry season, so many of the deciduous trees were bare, some even sported their autumnal leaves which is really pretty. 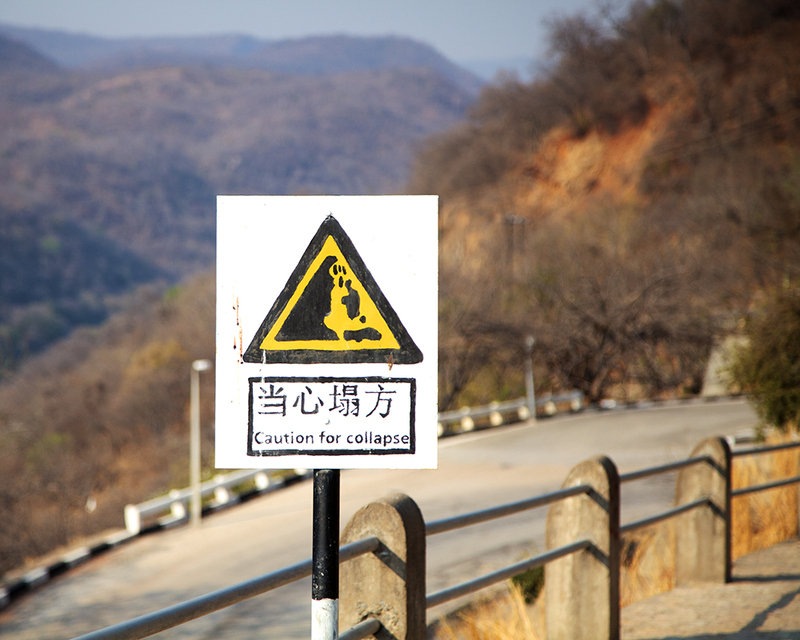 The road was not busy at all and we made it to the village of Kariba in no time at all. Just as our diesel tanks were getting thirsty. Fuel was a problem in Zimbabwe at that time, long queues were experienced, time delays and insecurity about the actual ETA of fuel tankers. Fortunately we found a diesel pump in the village and for our friends, who’d earlier bought petrol from a jerry can. A kindly lady at a little shop near Makuti had sent a boy off into the village to find a guy who knew someone who had an uncle who might have fuel…. He appeared a few hours later with the jerry can and filled them up. Butch was horrified of course, as he could visualise dirty fuel, diesel instead of petrol and a nightmare of other potential disasters. Bronwynn trusted him and voila all was well. At the petrol station their credit card wouldn’t be accepted, only USD, or the official Zimbabwe card or Zimbabwe Bonds. Fortunately Butch still had some Zim Bonds and he could help them out! We all had a moment there. 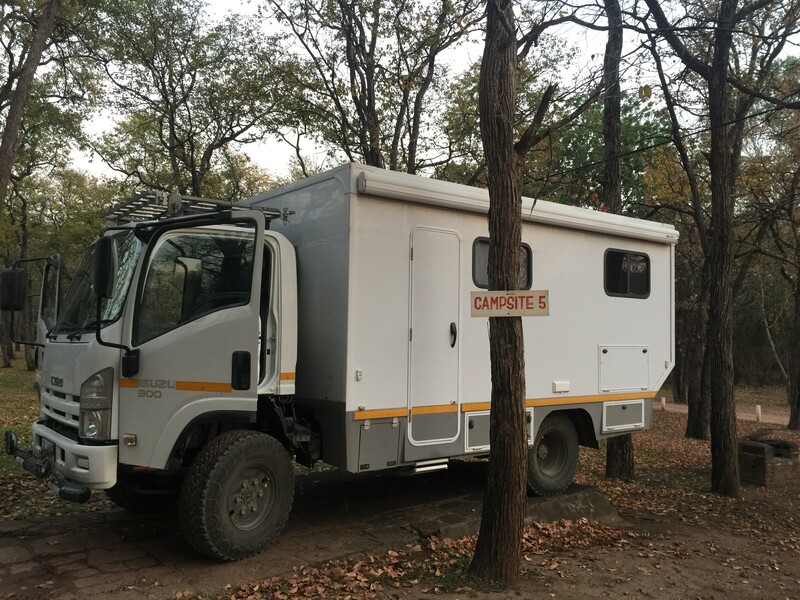 We were only staying the night and would head off early the next morning so chose accommodations near the main road. Our campsite at Lomagundi Lakeside accommodations was very well situated on the lake under beautiful old trees on a luscious green lawn. I had not seen green for so long it felt quite luxurious. 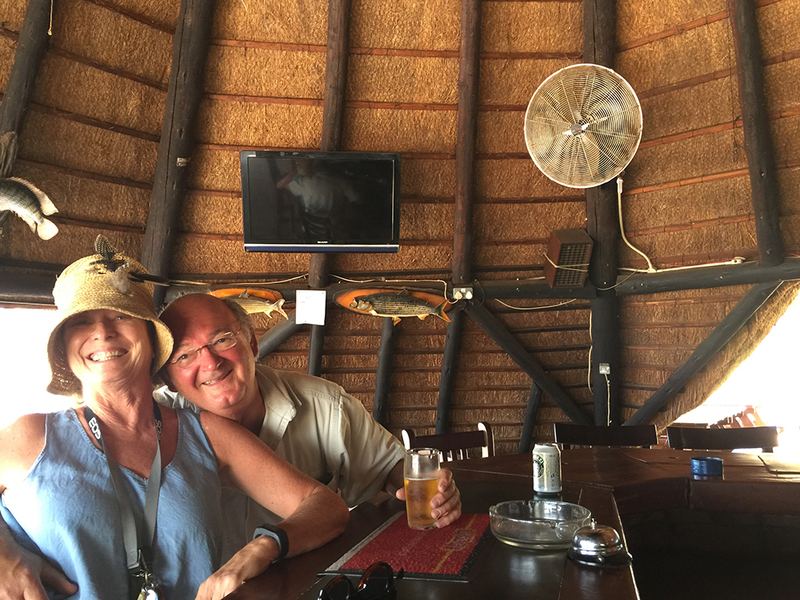 I had not had the luxury of a “restaurant” meal for quite a while so it was with excitement that we settled ourselves at the bar for a bar lunch. 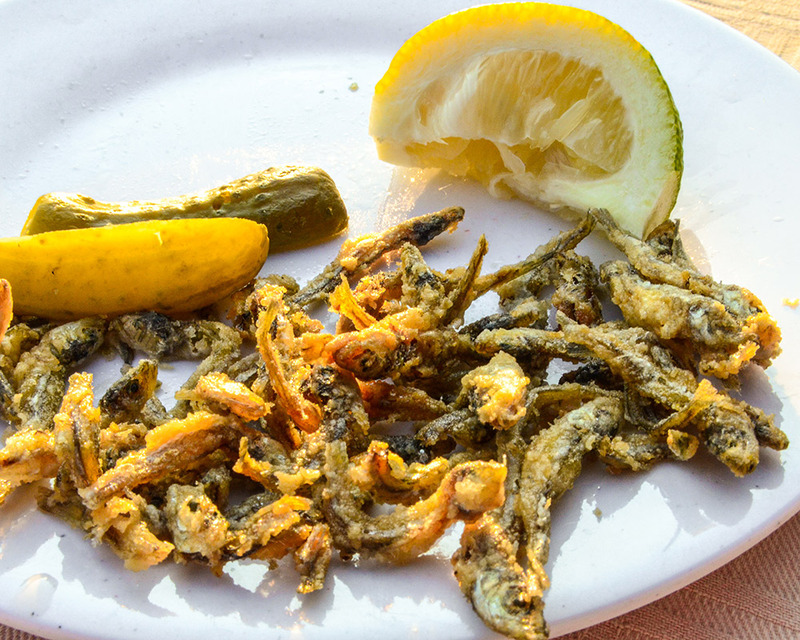 Butch immediately went for the Kapenta fish, tiny freshwater fish from Kariba, crisply deep-fried. I didn’t try them but he could recall his childhood in Zambia when he had eaten it with the staff. We all had hamburgers and they hit the spot perfectly. After our lunch we said farewell to Bronny and Lorraine who headed off to their lodgings and an afternoon of leisure. They deserved it. Butch and I went in the opposite direction to view the dam wall. On Butch's earlier visits to the wall were prohibited due to security. 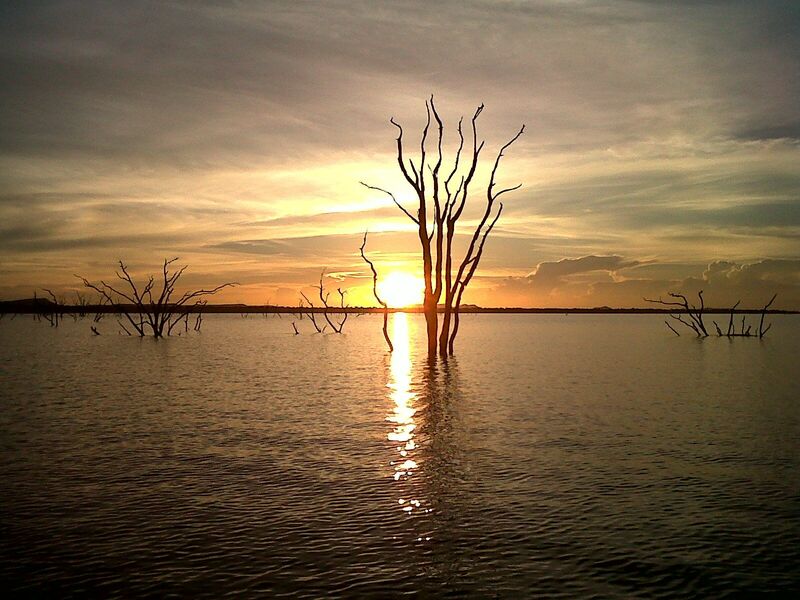 I could never visualise the enormity of Lake Kariba, it is awesome. Miles in diameter and hundreds of miles in circumference with many villages, farms and settlements on the banks. In one yacht basin close to shore we saw literally dozens of houseboats moored. Business was quiet. We wondered whether this was normal or was it just an off season. I hope an off season although we did hear that the tourist industry had taken a huge knock. 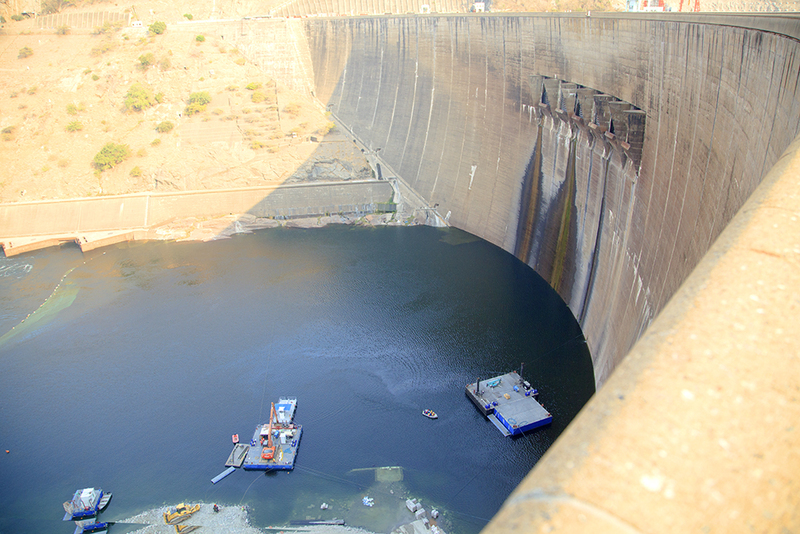 We had our passports stamped at the emmigration office and then headed off to walk the length of the dam wall. 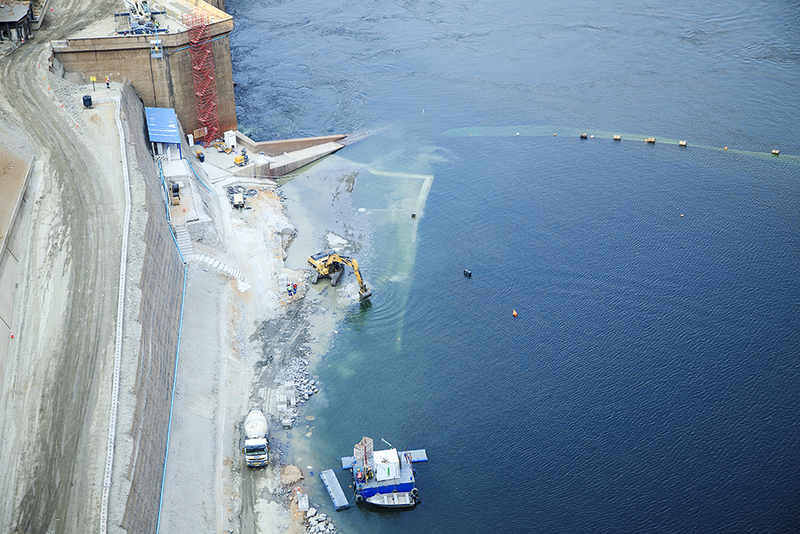 This must surely be one of the most spectacular sights in the world of dam building! Such an engineering feat I had never imagined. The first impression is that the Bank of China has stepping in to finance this gigantic operation with loans to Zambia and Zimbabwe who will undertake this in collaboration. The workforce from Zimbabwe and Zambia the paymasters Zambia. Trust in the Zimbabwe government seems to be sketchy. We were told that if loan repayments should lapse or dwindle and trickle to nothing that magnificent dam and the hydro-electricity it produces will belong to China. That is called business. I have been to a couple of our national treasures and been impressed with the engineering. In fact as a child I saw the movie Dam Busters where huge dams in Europe were bombed by Allied forces to stop the advancement of German troops and found that unimaginable. 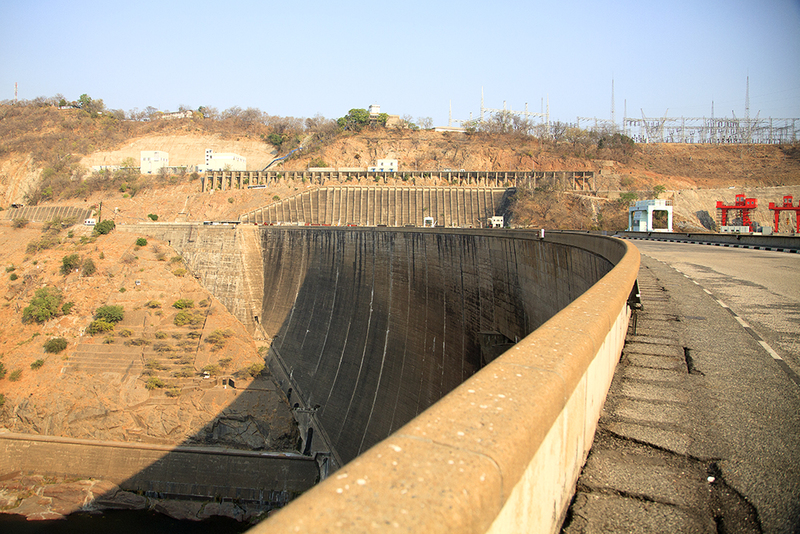 As I stood on Kariba dam’s wall I felt something walk on my grave as I got goosebumps thinking about the devastation if something devastating had to happen. My mind won’t wrap around the thought. Just as well. 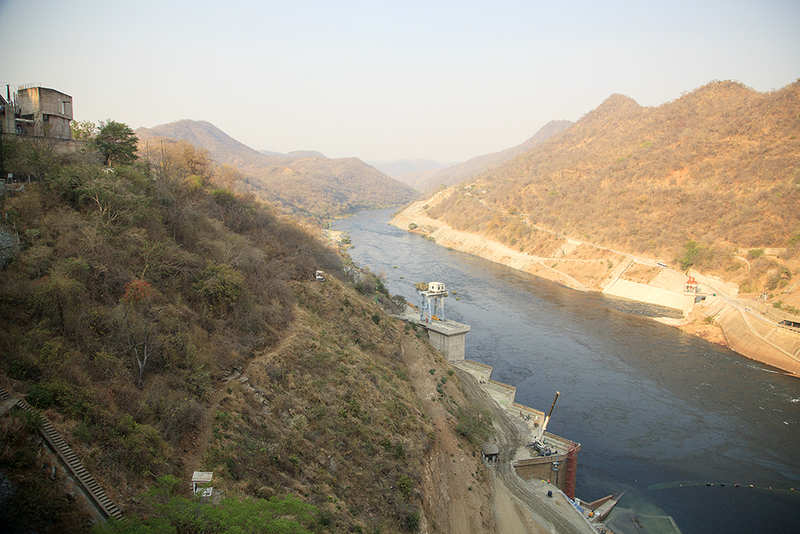 Which brought me to wondering whether the forefathers who planned and executed this dam would’ve had the same thoughts today. 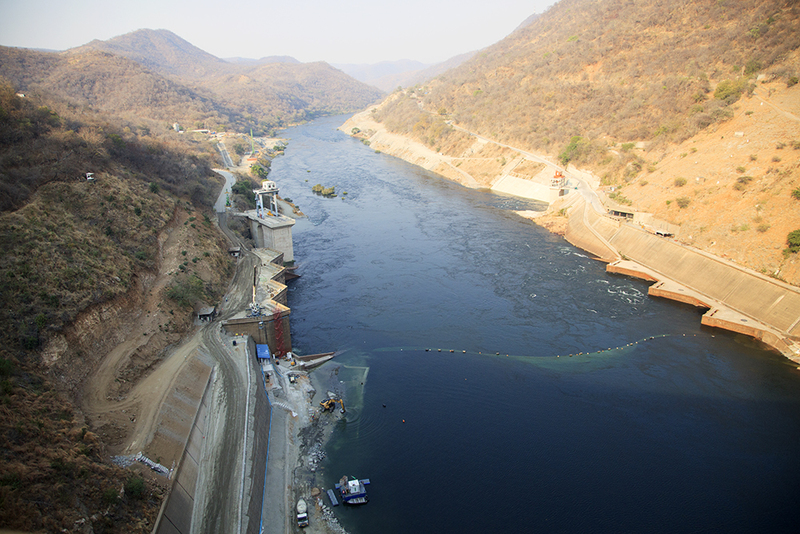 Would they have pursued their ideals considering the environmental impact this dam caused? Wasn’t the price too dear on the fauna and flora, project Noah, the biggest evacuation of wildlife in history and now the cost of maintaining this potential monstrosity? Never the less it gave me weak knees to walk on that wall looking down at the Dinky toy sized construction vehicles working below. Imagine 200m high at least 40m wide. 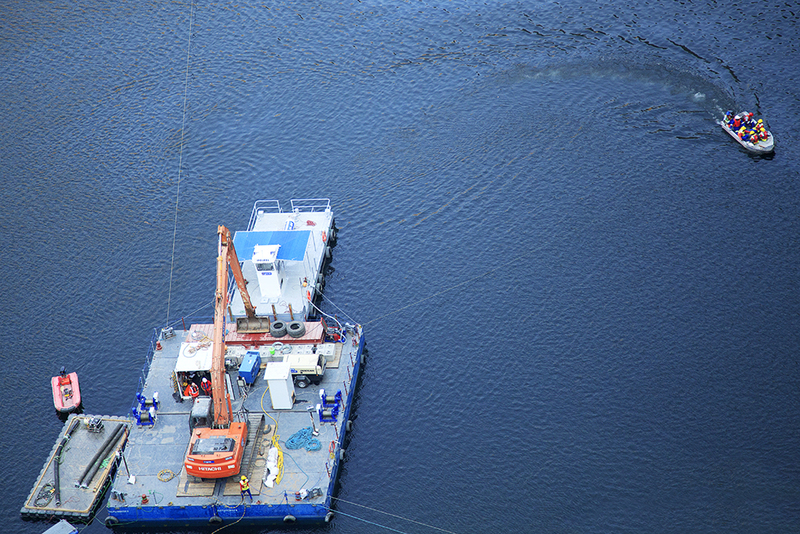 Down below workmen had to go from one platform using a rubber duck, from where I stood they looked like toys. 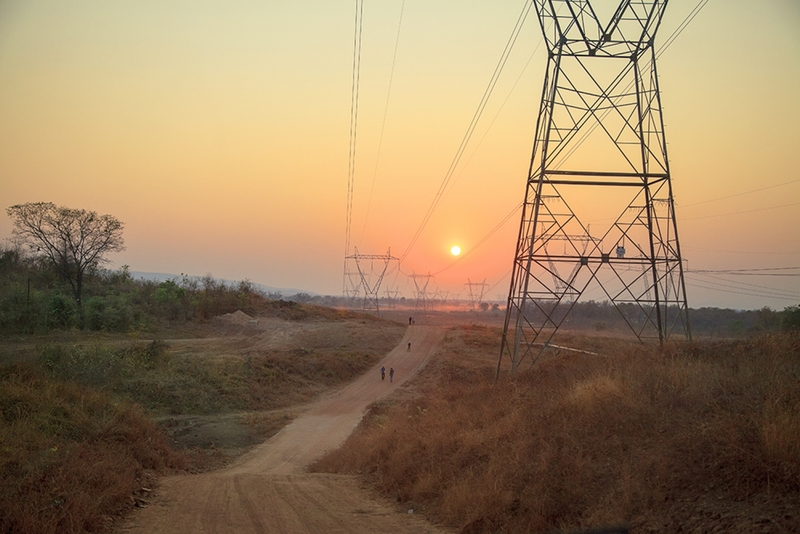 Soon the sun was behind the koppies on the Zambian side and workmen were being transported home after a long, hard day in the sun. It was time for us to head back to our campsite. I had to mull things over. It certainly was worth the detour. Who knows maybe one day I’ll have the luxury of surveying the landscape from a houseboat. I’d really like that. Our heads had turned south again and we were ready to go home. We returned to our campsite via a bush pub or two so that we could recommend stops to friends in the future. Back at the camp we spotted our friends the love birds, they were there setting up their rooftop tent, now it only took a few minutes. 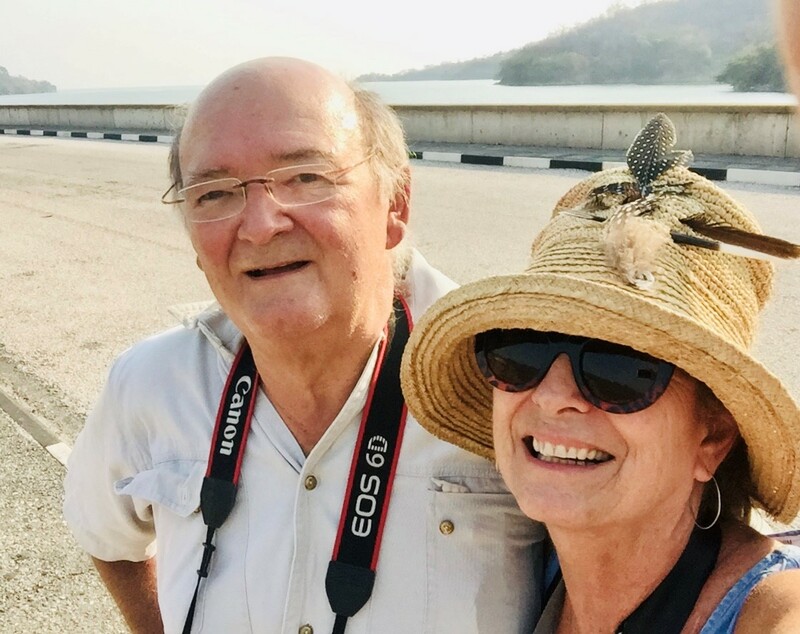 We had supper at the restaurant, watching the sun set over Kariba as a houseboat gently glided from its mooring to spend the night out on the water. For supper the girls had a steak and the boys fresh bream. Locals were there chatting up a storm while some watched the soccer on the big screen. It was good to be back in civilisation again. Now and again one could hear a hippo blowing and clearing his throat as only they can. The crocodiles had returned to the water after a hot day lazing on the hot sands at the water's edge. This is my Africa.